This entry was posted in Denmark Denmark Immigration and tagged Denmark Greencard Points System Denmark Greencard Requirements Denmark Greencard Scheme Denmark Immigration Migrate to Denmark work in Denmark on February 28, 2015 by Blog Author. Denmark is a good place for immigrants who wish to reside and work abroad. With amazing landscapes, beautiful coasts and lovely beaches, immigration to Denmark is the ideal option who wishes to happily enjoy their life. Denmark has always been a place for skilled professionals as the country offers ample job opportunities over all times. Denmark is a promising and welcoming place to new investors and skilled professionals who can contribute their skills for the growth of economy. Denmark immigration can be interesting and beneficial for everyone as they can find everything in the country. Danish government has outlined Greencard scheme to encourage skilled professionals who desire to move abroad. 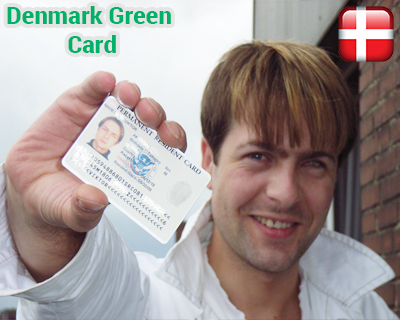 Denmark Greencard is especially designed to draw highly skilled professionals to its shores. Most immigrants especially Indians choose Denmark immigration to benefit from its lucrative opportunities. Under Denmark Greencard scheme, candidates can acquire a residence permit for the purpose of seeking work and working in Denmark. A residence and work permit will be granted based on the individual’s assessment on a points system. Candidates who acquire a residence permit under the Greencard scheme need not obtain a work permit. One can engage in paid or unpaid activities with a residence permit. What are the requirements of Denmark Greencard? Applicants of Denmark Greencard must acquire 100 points under various factors such as education, language proficiency and adaptability. For education, applicants can gain a maximum of 130 points based on certain criteria. When coming to language criteria, applicants must submit a proof stating that they are proficient in English, Danish, German, Swedish or Norwegian language. A total of 40 points will be given for language skills. Denmark Greencard Scheme permits applicants to reside for up to two years for the first time with the option of extension. However, extension of your residence permit depends on certain criteria. So, interested candidates can apply for Denmark Greencard to immigrate to Denmark easily. ← What are the Benefits of Studying in Canada?